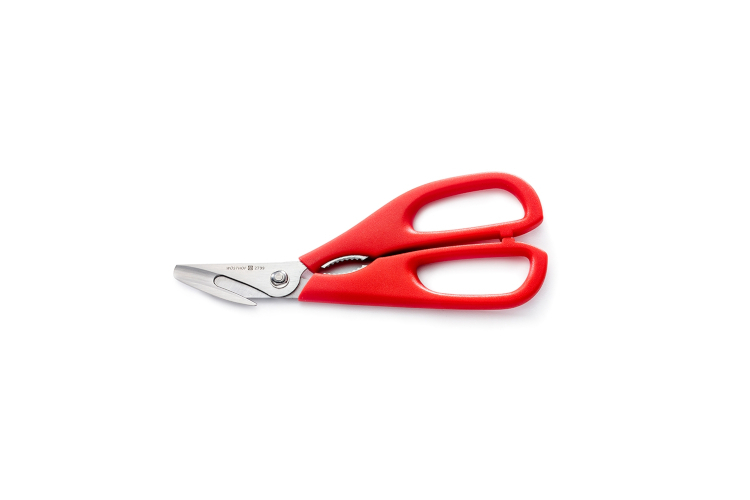 These "do it all" Shellfish Shears by Wusthof are the perfect tool for your next crab or lobster bake. The unique blades cut cleanly through shells (in a backward motion! ), making it simple to remove meat intact. A special steel-toothed grip is great for removing stubborn claws from crab. Take a look at Chef Mike's video showing you how to break down all sorts of shellfish! I think these shears will come in handy once lobster season starts again. I was impressed with the demo video and so I bought shears not only for myself but also for each of my adult kids. They will make nice stocking stuffers or a little gift for a special occasion. They look sturdy and overall the brand name speaks for itself.